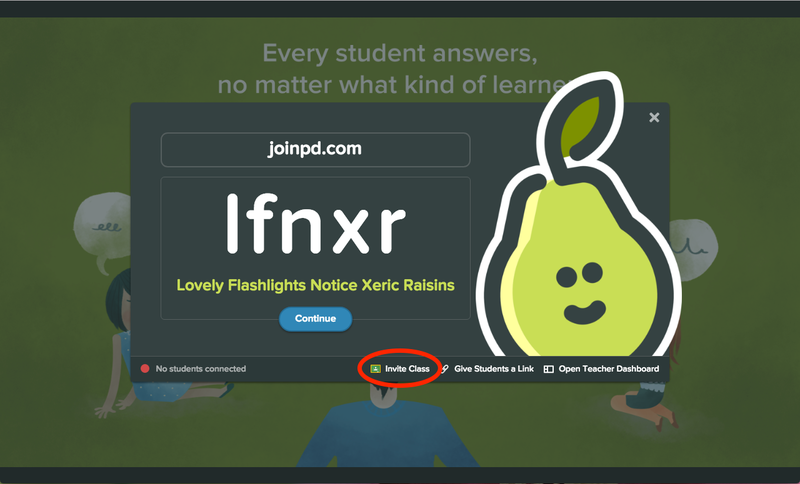 When you present a Pear Deck Session, students can easily join with the link from your screen. They can also go to joinpd.com and sign in with your Session join code. Note that all students need to sign in with a Google account. If you have Google Classroom, it gets even easier to invite students to join a Session. Your students can also get Chrome Notifications when you invite them. They just click on the notification and they're in the Session! Keep reading to learn how to set up Google Classroom integration. Google Classroom Integration in Pear Deck happens in the Dashboard and when you publish Takeaways™. The Dashboard and Takeaways are both Premium Features. 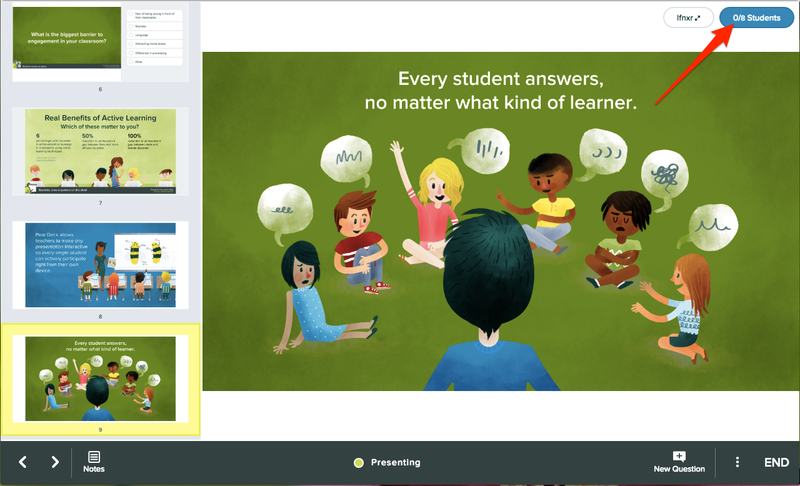 Learn what's included in Pear Deck Premium. Go to Pear Deck and click For Teachers. 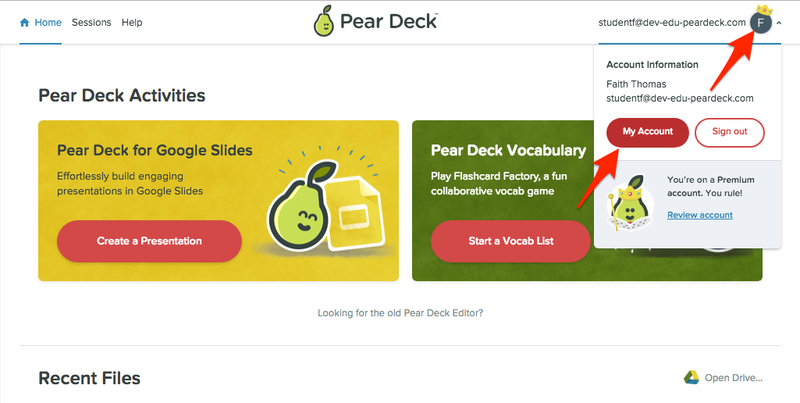 At Pear Deck Home, click on your person icon. Then click My Account. Go to Settings tab. Make sure Google Classroom is set to ON. You can also enable Push Notifications. The fastest way to get students into your Pear Deck session is to let them get Chrome Notifications. If you don't enable notifications, students can still join your session via the Join screen at joinpd.com. Students will still have the opportunity to accept or decline notifications. By checking the box, you simply give them the option. 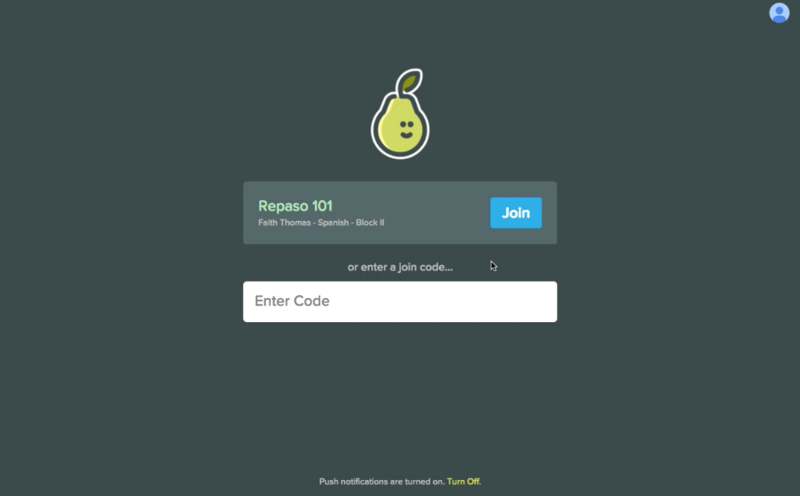 Start Presenting your Pear Deck. Open the Teacher Dashboard (a Premium feature). In the Dashboard, click on the blue Classroom Roster in the top right corner of the screen. 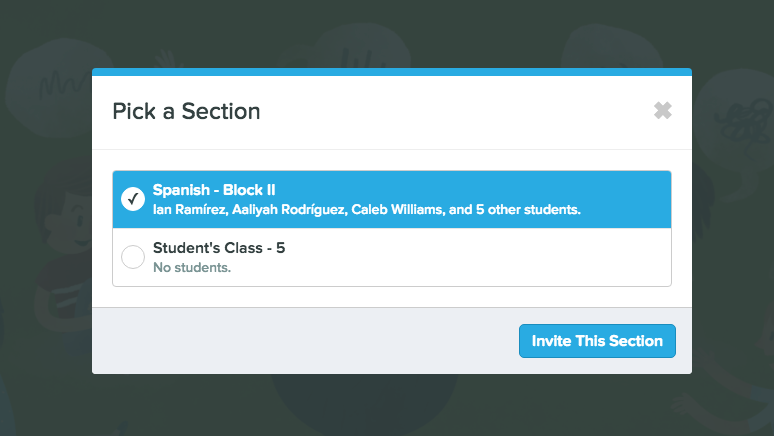 In the new menu, click Invite Your Classroom. Choose the Google Classroom section you want to invite. As students join, their names light up. You can also invite students directly from the Projector View join instructions screen. In the join instructions screen, click Invite Class. This will allow you to pick a Google Classroom section to invite. However, to see the roster, you'll need to open the Teacher Dashboard. When students go to the Pear Deck Join screen (joinpd.com), they will see a list of any presentations they've been invited to recently. They just click the Join button, and they're in the Session. If your Google Classroom Roster is out-of-date or you have a guest, no worries! Students can still enter the regular join code.